Some cars sound a dog whistle that only auto enthusiasts can hear. Cadillac, for most of its history, might as well have been blowing noiselessly through a mouth full of saltines. 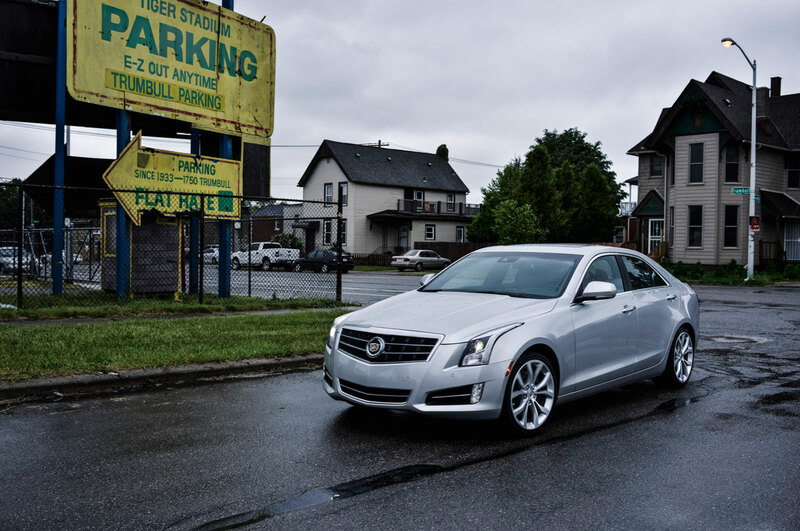 Yet our ears perked up when Cadillac introduced the ATS, a compact rear-wheel-drive sedan that clearly trained to go 15 rounds with the BMW 3 Series. 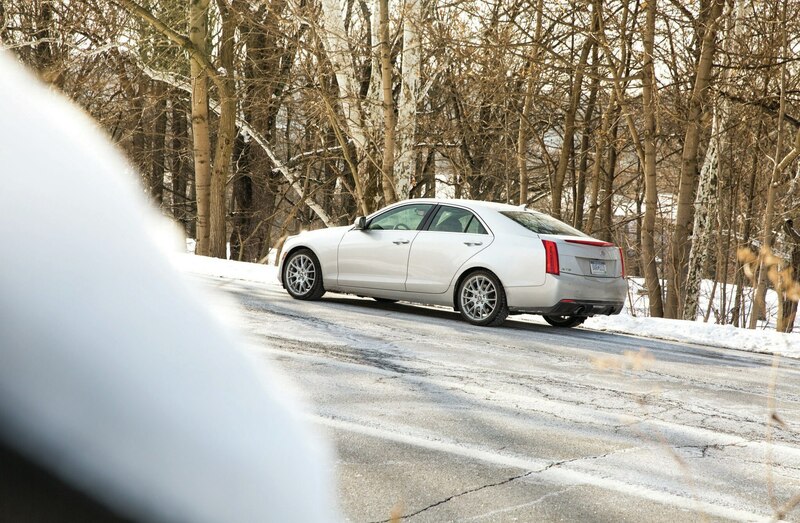 We ordered an ATS for a full year—our first Four Seasons test of any Cadillac in a decade—to find out whether this sport sedan indeed plays the right notes. 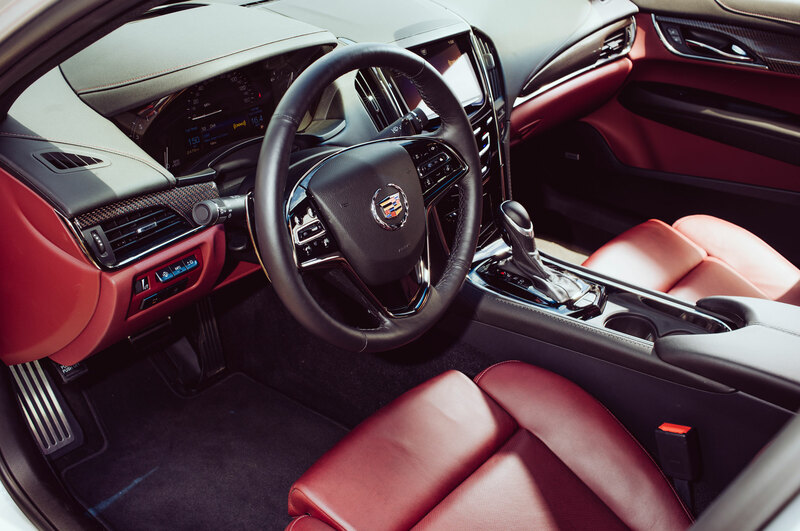 As Cadillac’s entry model, the ATS starts at less than $35,000 in base four-cylinder trim, but we opted for the top-spec Premium model with a 3.6-liter V-6. 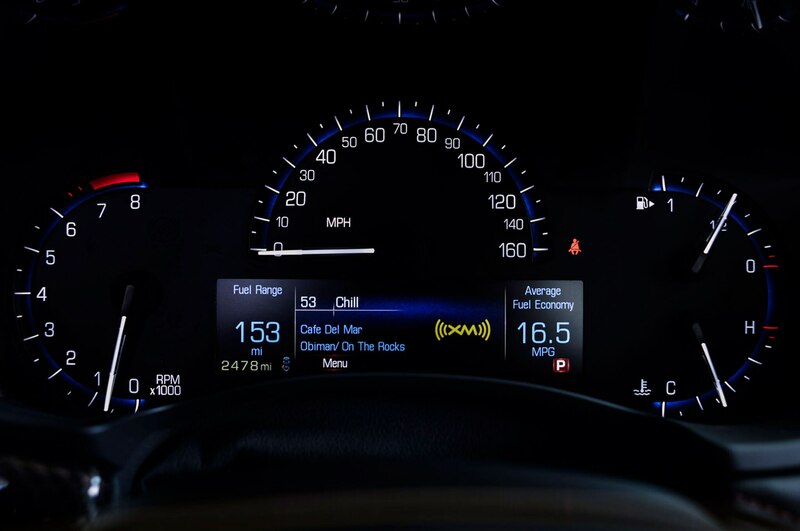 It includes navigation, a 10-speaker Bose audio system, and a head-up display. The price correspondingly balloons to $49,735. 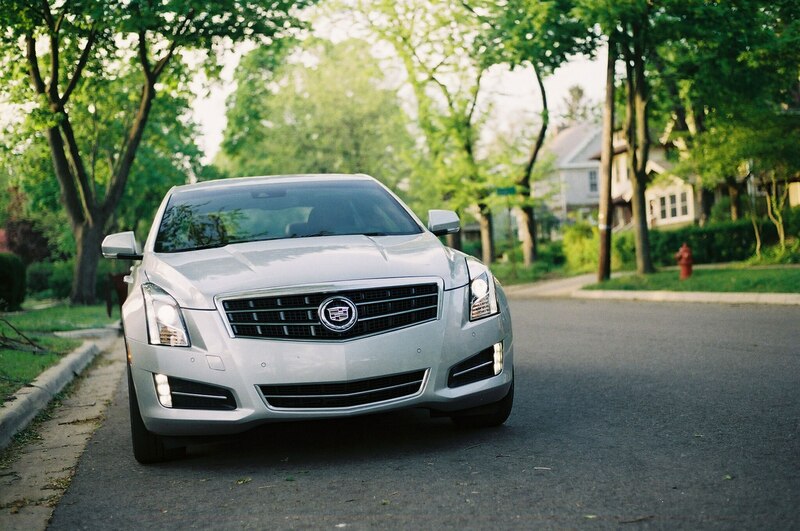 Cadillac once positioned itself as a bargain-priced alternative to European marques. No more. 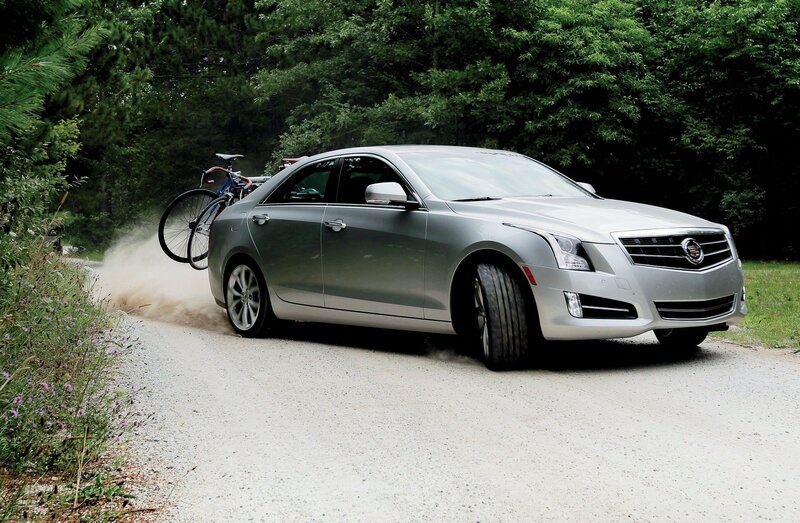 With rear-wheel drive and a 321-hp V-6, the ATS was always ready to play, even when it was carrying two bikes. 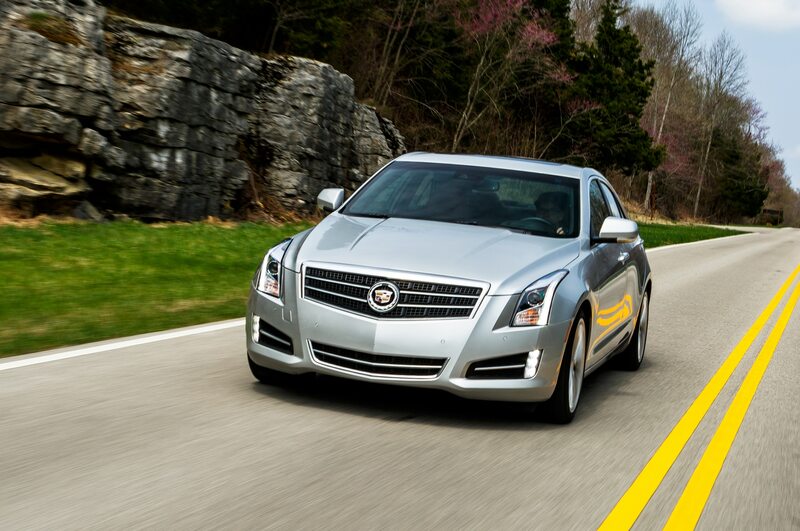 The 2013 Cadillac ATS certainly looks the part of a high-dollar sport sedan. 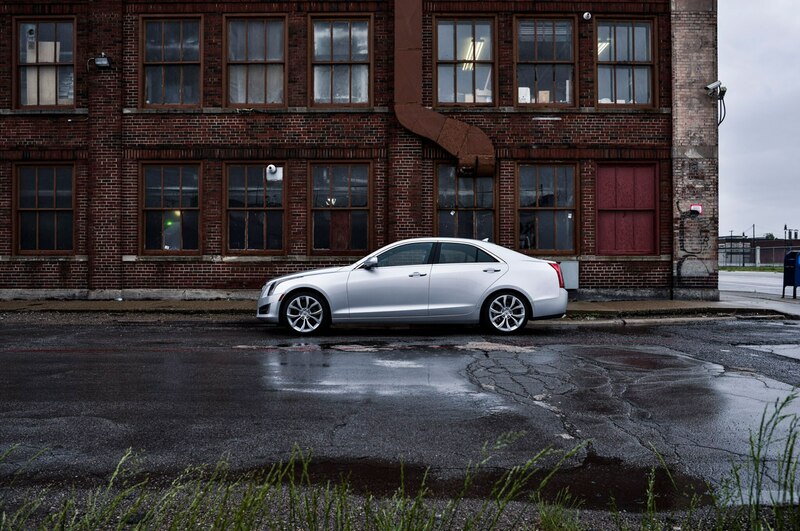 We’ll admit to stifling a yawn when the ATS debuted at the 2012 Detroit auto show—it’s nowhere near as radical-looking as the creases-on-creases Cadillacs of the last decade—but our perspective changed as soon as we saw our silver ATS on the road. The sun highlights the sinew in its bodywork. Optional light strips on the headlights and door handles add drama without cluttering the taut, wonderfully proportioned body. 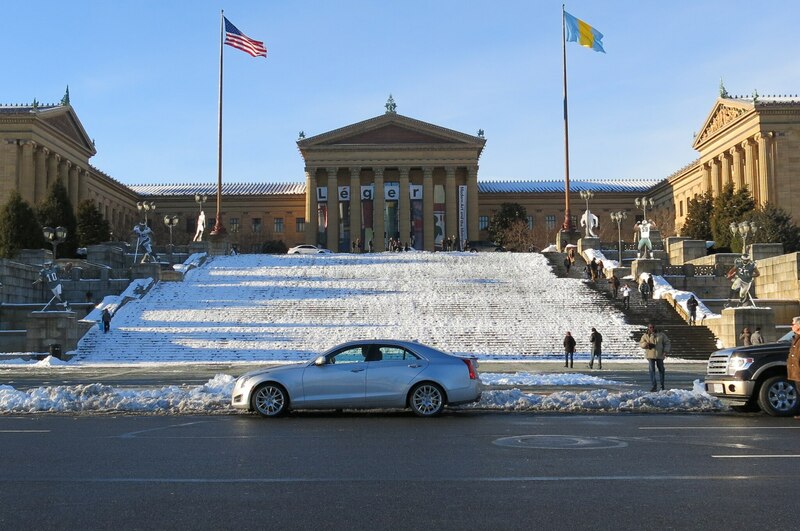 As we drove to cities like Boston and Washington, D.C., where Cadillacs are still thin on the ground, the ATS proved effective at communicating its sporting mission to audiences that still associate the brand with Fixodent and 5 p.m. dinners. The sportiness is more than skin deep. 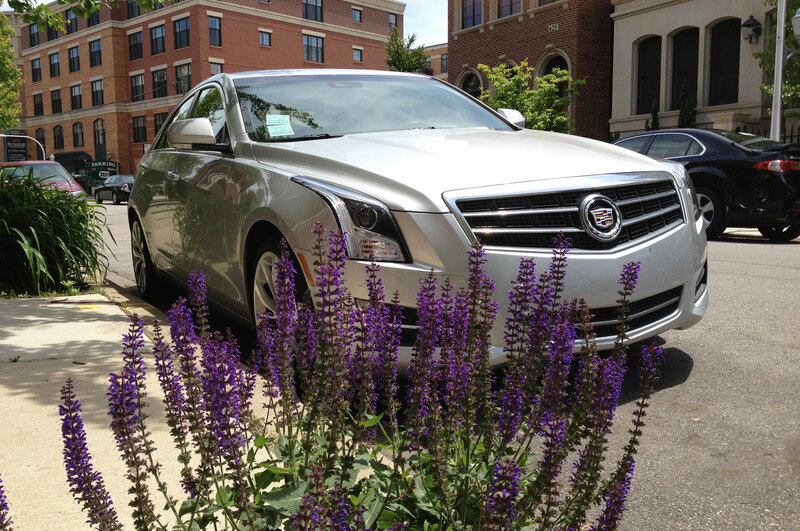 With the ATS, Cadillac fields one of the most athletic cars in a segment that includes some European thoroughbreds. “On driving dynamics alone, I’d take this over a BMW 335i or an Audi S4 in a heartbeat,” enthused one editor. 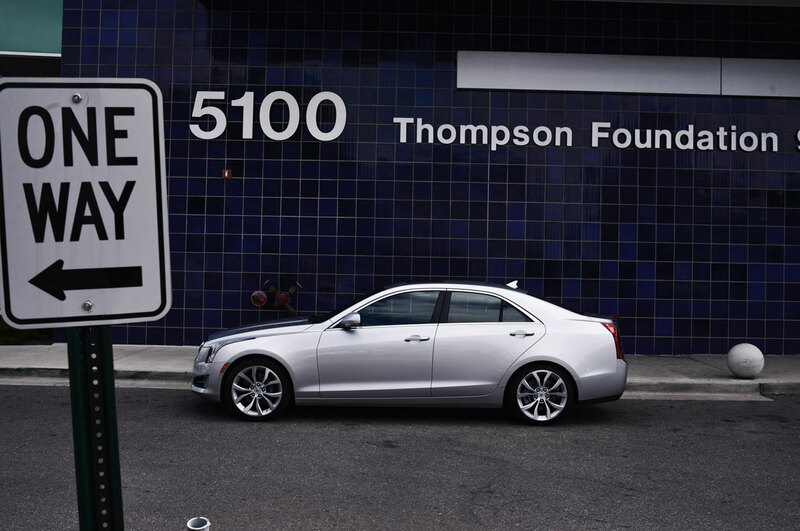 Cadillac’s brand new Alpha platform, which the 2013 Cadillac ATS shares with the new CTS, gets lots of the credit: Only a few other cars in the segment are this light—our test car weighs 3574 pounds—and feel as rigid. It also helps that the Premium model comes standard with magnetorheological dampers, 18-inch wheels shod in Bridgestone Potenzas, and a limited-slip differential. A rough idle troubled us early on and stayed until the end—the dealer alternately claimed not to notice it and not to have a solution. 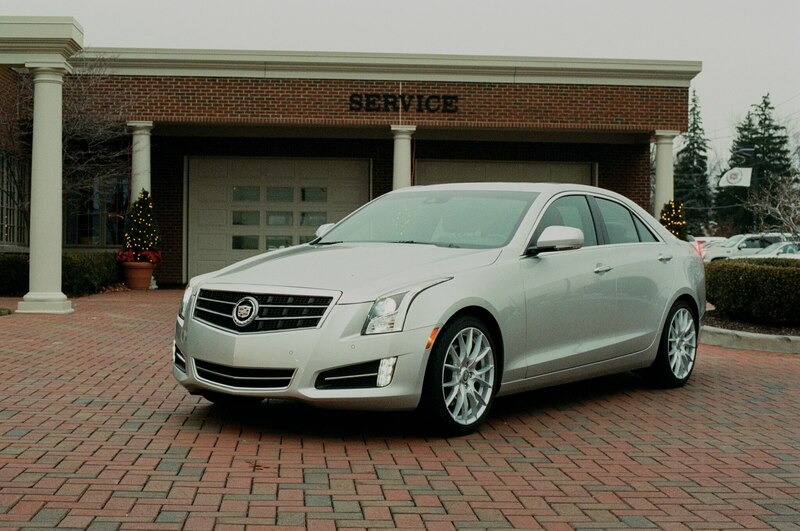 Some, predictably, thought we should have skipped the sport suspension altogether—one editor complained she needed a chiropractor after driving the 2013 Cadillac ATS into work. The adjustable magnetorheological dampers are firm even in Touring mode and become quite stiff in Sport mode. 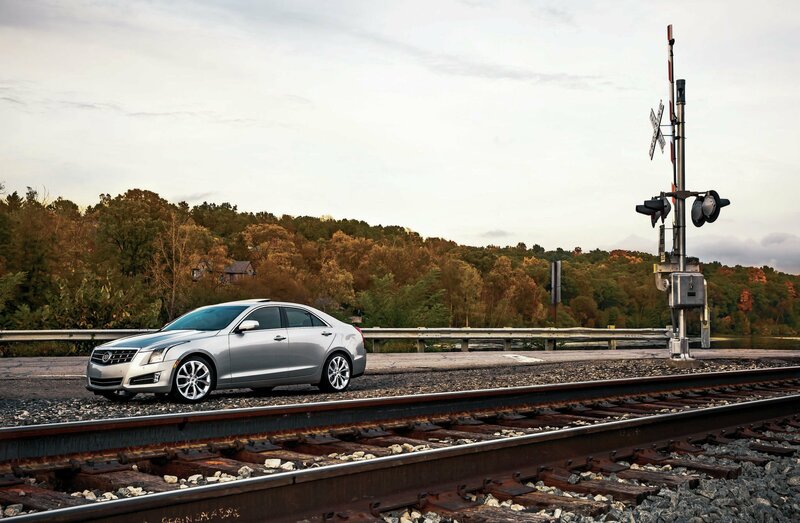 “It’s weird to be in a Cadillac that’s tuned more for a racetrack than my daily commute,” remarked one logbook commenter. Yet on this matter, the Goldilockses on our staff frequently disagree. Regular readers will recall, for instance, that we found the touring suspension on our 2012 BMW 328i too soft. 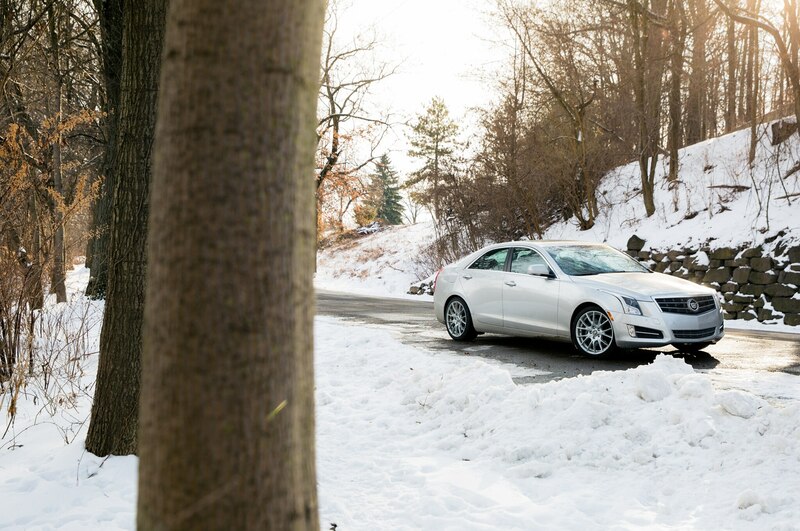 “The ATS finds as good a ride/handling balance as the 3 Series—maybe better,” said executive editor Todd Lassa. The failures in execution are harder to defend. 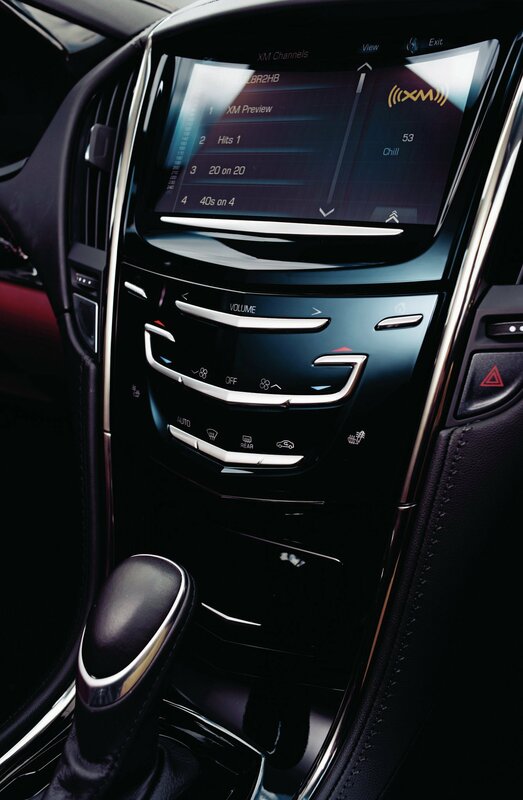 The most glaring example is CUE, Cadillac’s infotainment system. Like the notorious MyFord Touch, it relies exclusively on a touchscreen and touch-sensitive controls in place of buttons and knobs. Excoriations fill the editors’ notebook. “CUE is the single worst thing to happen to Cadillac since that guy on ‘Jersey Shore’ showed off his Cadillac logo tattoo,” insisted one commenter. That’s not to say it doesn’t have some good features: The large color touchscreen vividly displays turn-by-turn directions; the voice recognition system understands more than those in most cars; and the lower control panel opens to reveal a useful storage compartment. Yet these niceties hide behind an input method that needs years more development, if not a complete rethink. “An action as simple as switching radio stations proves difficult and distracting,” complained Lassa. Adding insult to injury, the glossy center stack—whose aesthetics probably inspired this button-killing crusade—attracts a stratum of dust and fingerprints during everyday use. 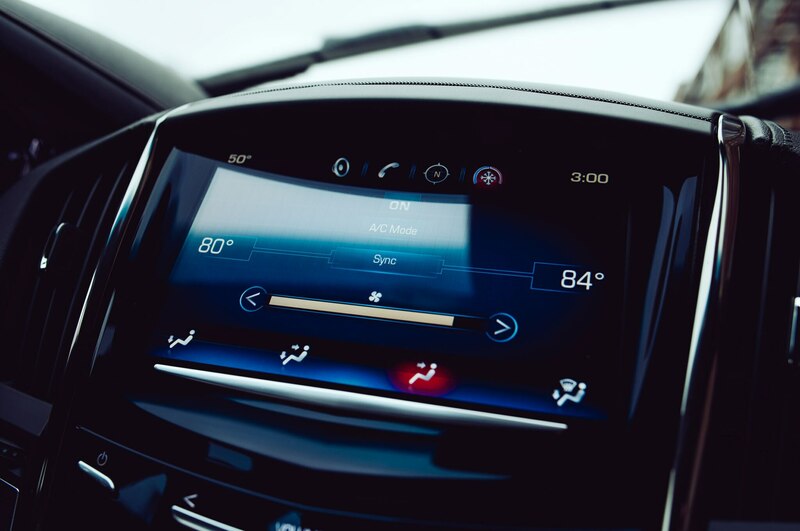 If the so-called Cadillac User Experience is needlessly futuristic, the Cadillac ownership experience is depressingly antiquated. Our ATS suffered from three quality issues: an off-center steering wheel, an intermittent power-steering warning light, and a rough idle. These glitches annoyed but did not alarm us, as they had little effect on drivability. (The power steering never actually failed.) They would have merited no more than a brief mention had they been addressed quickly. Who’s afraid of rear-wheel drive? 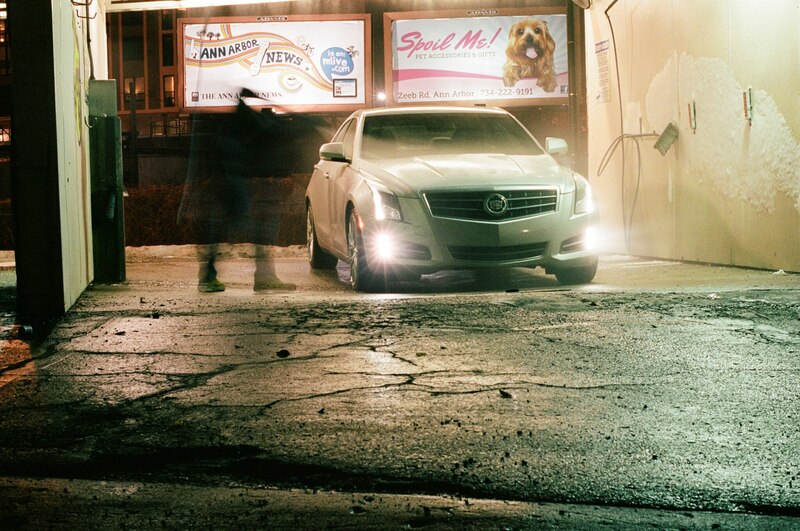 Wearing Blizzaks, the ATS made it through a very snowy winter. Alas, they were not. 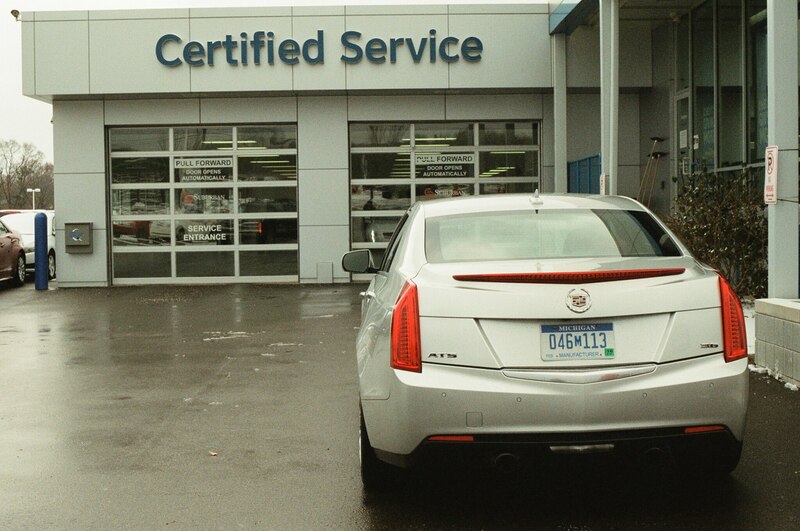 Our 2013 Cadillac ATS visited the local dealer five times for these issues, spending more than a month total in the shop. An alignment fixed the off-kilter steering wheel at about 5000 miles, but the problem returned 10,000 miles later, at which point the tech said the uneven wear on the rear tires made it impossible to do another alignment. 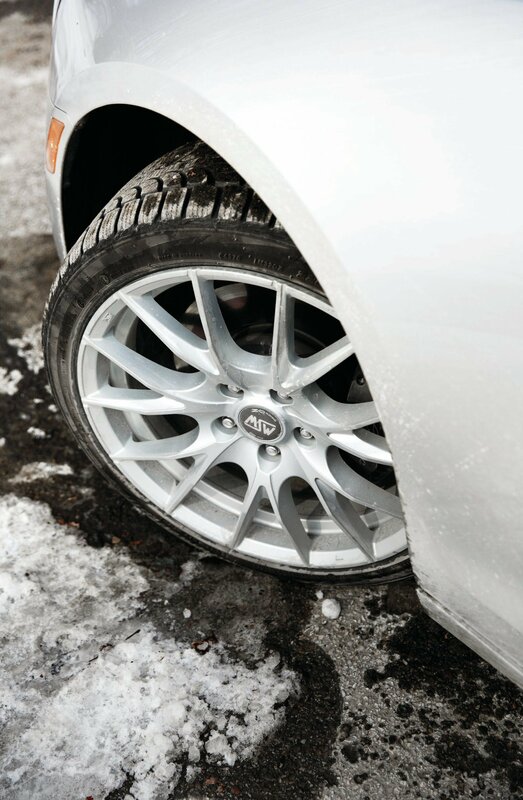 In any event, the problem disappeared when we swapped on the winter tires. 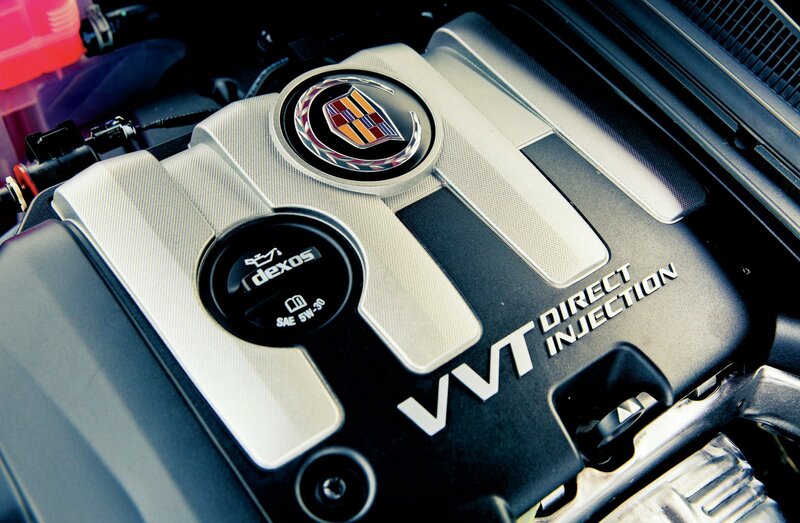 The dealer permanently cleared the power steering light on the third try by flashing the computer and cleaning the relevant electrical contacts. The rough idle, which associate Web editor Jake Holmes identified at 1087 miles as “a noticeable stumble or shudder,” stayed with us until the end—the dealer alternately claimed not to notice it and not to have a solution. Cadillac says it has since redesigned the engine mounts and will install them under warranty for customers who complain. 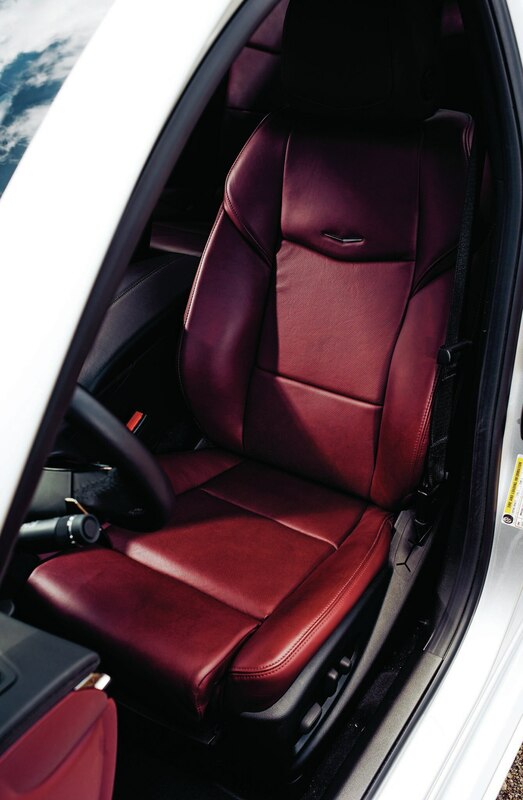 We had mixed feelings about the Morello red leather seats, although we all found them comfortable. CUE looks nice (when clean) but is a pain to use. Indeed, few cars resonate so loudly and clearly with automotive enthusiasts. Yet the truth is that a luxury sedan—even a sporty one—must be able to play other frequencies as well. In order to take the next step forward, Cadillac will need to match its European competitors not only at the Nürburgring, but also in the cabin and on the dealer lot.